BOSTONMassachusetts state officials say they found unclean conditions including visible black specks of fungus in steroids made by a pharmacy linked to a deadly outbreak of meningitis. Gov. Deval Patrick said Tuesday the state has moved to revoke the license of the New England Compounding Center and three pharmacists. The state also said it is launching a criminal investigation into the company that is identified as the source of a 17-state meningitis outbreak. State officials say a preliminary investigation found drugs were sent out before tests results on their sterility could be returned. They also said the company operated as a drug manufacturer by producing drugs for broader use, rather than filling out specific prescriptions for specific doctors, which is all its license allowed. CBS Evening News medical correspondent Dr. Jon LaPook reports a lack of basic laboratory standards at the specialty pharmacy as revealed by the investigation. He notes the lab had dirty floor mats, a leaky boiler, did not adequately sterilize medications, and did not properly test its laboratory equipment. Nearly 310 people have been sickened nationwide and 23 have died. All had received contaminated steroid injections, mostly for back pain. Four of the cases may be fungal joint infections from patients who received shots in the knees, hips, and shoulders, the Centers for Disease Control and Prevention said Tuesday. The company says it's cooperating with investigators. Federal health officials matched the shots produced by the company to the outbreak after finding a deadly fungus in more than 50 unopened vials there but have not said how the shots were contaminated. The fungus, called Exserohilum rostratum, is common in the environment but has never before been identified as a cause of meningitis, according to the CDC. The contaminated lots of methylprednisolone acetate were sent to 76 facilities in 23 states. Federal officials estimated up to 14,000 patients may have received the injections -- 97 percent of those patients have been contacted, the CDC said. A congressional committee on Monday sought a decade's worth of records from the company as new state documents detailed problems an outside firm hired to do an assessment found there in 2006. The state documents obtained by CBS News say investigators in 2006 found inadequate contamination control and no written standard operating procedures for using equipment, among other problems, at the New England Compounding Center. The problems were corrected that year, and a state inspection in May 2011 as the company prepared to update its facilities found no such issues. 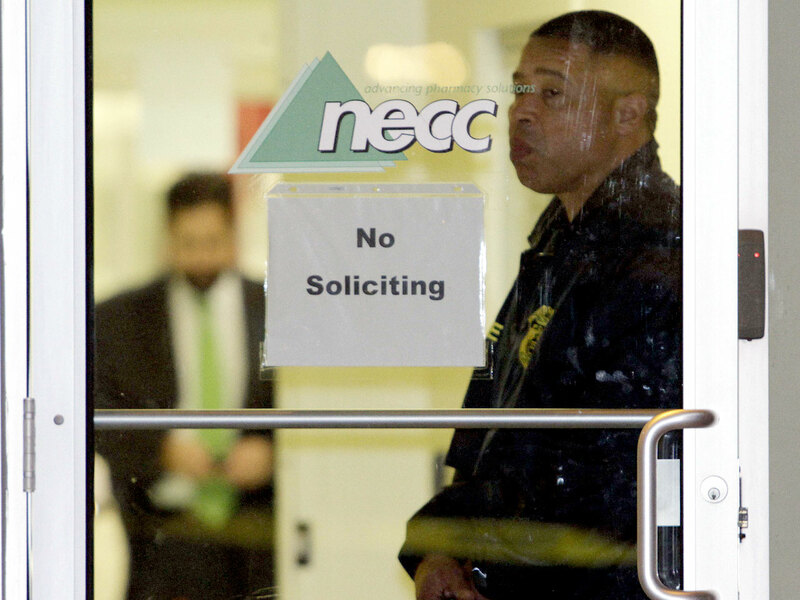 NECC attorney Paul Cirel told CBS News in a statement Tuesday evening, "It has always been the company's practice to provide the Board with full and complete access to its facility and its records. As is standard practice in the health care industry, the Board had numerous opportunities, including as recently as last summer, to make first-hand observations of the NECC's facilities and operations." "Based on that history, it is hard to imagine that the Board has not been fully apprised of both the manner and scale of the company's operations," Cirel said. "NECC's transparency in dealing with the Board since inception in 1998 demonstrates its good faith intention to operate in compliance with the requirements of its license. Furthermore, the company's intention and best efforts at compliance are equally applicable in every other state in which it has been licensed."